It has been said that we’re all either going into a life crisis, in the midst of a life crisis, or coming out of a life crisis. That’s the way it feels sometimes, isn’t it? Choosing to praise God through a crisis can be a challenge, but I want to encourage you that it is possible. I want to share with you five ways you can choose praise at all times, despite your emotions and our difficult circumstances. How can we choose praise during life’s toughest trials? I want to help you find encouragement, hope and joy as you discover how intentional praise can transform your circumstances. Learn 5 steps to choose praise at all times. 1. Spend time each day growing closer to God. Regardless of where you are on your spiritual journey, it’s not too late to start a daily habit of knowing God. 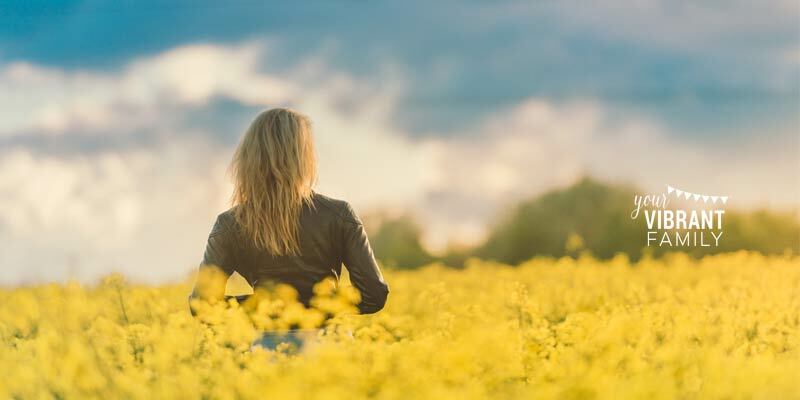 When we make it a priority to learn about God each day and focus on who He is, we set a protective coating of his truth around our minds that is priceless when we find ourselves in the midst of a trial. This makes it much easier to choose praise at all times. What does it mean to know God and to grow closer to Him? Daily time with God could be in the form of a devotional book or Bible study, a daily Bible reading plan or an audio Bible listening routine. We need to be feeding our minds and our hearts with truth on a regular basis so that when we’re faced with a challenge we can find direction and courage from the truths we’ve internalized. Keeping God’s word close to our hearts makes it so much easier to choose praise when life’s trials come! 2. Recognize that God is not surprised by our challenges. When we are surprised by accidents, distruptions to our schedule, inconveniences or sudden changes to our status or routine, it’s vital that we remember this: God is not surprised. We may have been surprised by these life circumstances, but God was not. And because of God’s sovereignty and omnipotence, we can still choose praise. God is in control over all things, and whether He allowed it or ordained it, we can trust His great plan for it. We can choose praise through every life challenge because, as Romans 8:28 reminds us, He is always working for our ultimate good and His own glory in the situation. 3. Meditate on God’s truth to make it easier to choose praise. When we focus on God’s truths about the situation we can discover peace. We need not be anxious, fearful or worried, when we know who is in control. He is trustworthy, and therefore, we can choose praise despite how difficult the situation. Focusing on the truth also allows us to reign in our imaginations and all the “what ifs.” Instead, we can focus on what is going on and what we need to do based on the facts. By meditating on God’s truth, we can quell our fearful and anxious hearts and redirect our emotions to choose praise. It’s true that emotions can work for us or against us in times of trial. It’s natural to feel those emotions, but we can’t let them be in the driver’s seat. We must choose our actions (and to focus on subsequent emotions) based on God’s truth about the situation. 4. Discover how to choose praise in this specific situation. Once we’ve rehearsed to ourselves the truths about who God is, and decided on what He wants us to do based on the truths of the situation, we can choose how we can praise Him in this circumstance. There is always something to praise the Lord for. There’s always something to thank him for. Every blessing we receive is more than we deserve. Praise Him for how He is working in the situation. Praise Him for helping us to focus on truth. Praise Him for others in our lives who are encouraging us and pointing us back to God. Philippians 4:6-8 encourages us to focus on what is true, right, pure and lovely in order to discover God’s peace. This is also a beautiful formula for how we can choose to praise. 5. Share God’s testimonies and hope with others. We can also discover praise by sharing stories with others of what God has done in the past, what good things He’s doing now, and how we’re choosing to trust Him in spite of our current circumstances. When others see us praising in the midst of our trials, they are also encouraged to praise. The interesting thing about praise is that it benefits not only the one voicing the praise, but also the listener. Praise is as much for us as it is for others. God is working in us to heal our hearts and to teach us how to praise so that our song in the storm may be a light to those He’s placed around us. Second Corinthians 1:3-7 shares the wonderful way God allows us to comfort others in the future because of the trials that we’ve endured in the past. “I waited patiently for the Lord to help me, and he turned to me and heard my cry. He lifted me out of the pit of despair, our of the mud and the mire. How about you, friend? Yes, life is difficult and can often feel overwhelming. But just for today–just for this moment–will you say, “Yes, God I trust you,” and choose praise? I understand how difficult it can be to train our hearts to choose praise, and I have so much more that I want to share. I’ve written a brand new book that will encourage you through your trial and teach you how to, step-by-step, choose praise in all life circumstances. I pray you’ll go on this 4-week Bible study journey with me so you can discover more about how intentional praise can changes your life! Go here to get this life changing book. 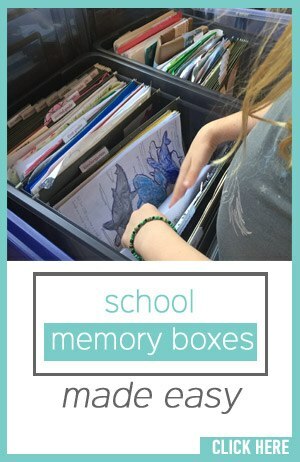 Katie Hornor writes at ParadisePraises.com. 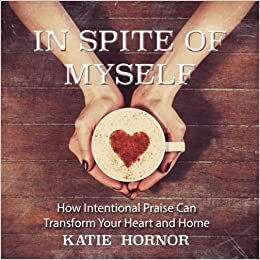 Purchase her new book In Spite of Myself: How Intentional Praise Can Transform Your Heart and Home and be encouraged by the lessons she's learned in choosing to praise, intentionally, as a wife, overseas missionary, homeschool parent and business owner. 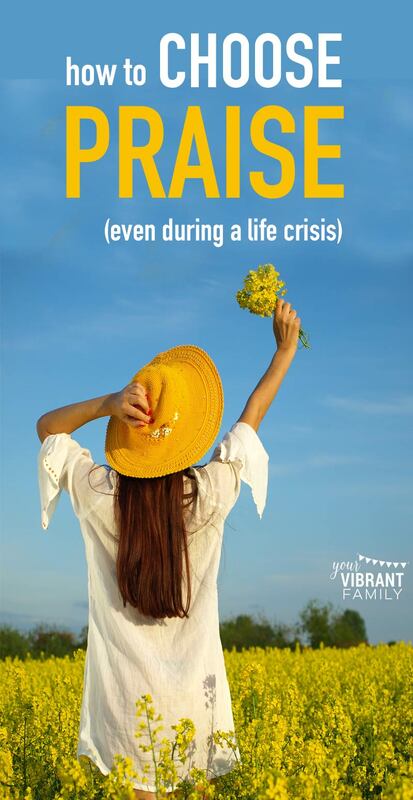 Click here or follow the #IChoosePraise hashtag on social media for information on the book, and to learn how to join Katie for a free 4-week Bible study on Praise.